From surfing the Web to creating a robust local area network, you'll experience exceptionally fast wired speeds and versatile connectivity with our SE4008 WRT Switch. The switch fits perfectly with our WRT1900AC router (sold separately) to create a powerful and space-efficient WRT network. 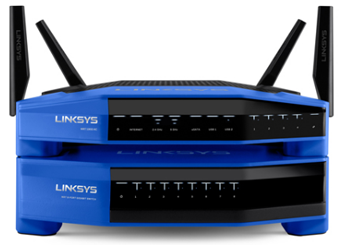 With its sleek lines and stackable design, the SE4008 is a perfect match for our iconic WRT1900AC router (sold separately)--allowing you to expand your local area network and connect devices to the Internet without taking up additional shelf space. The switch is also compatible with most other Wi-Fi routers.